1. 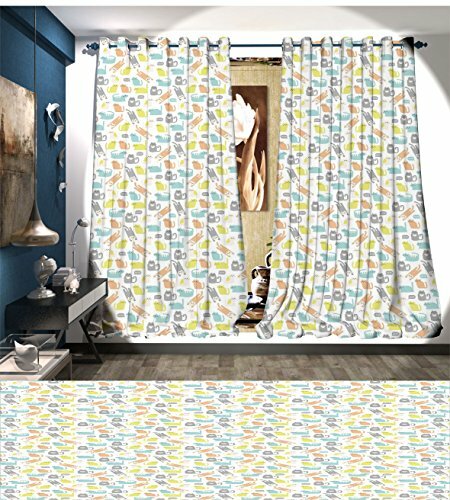 This decorative curtains made by high quality 100% Polyester, Window Curtain Drape and blocks out sunlight very well. 3. Blackout: Room Darkening curtains are manufactured as a triple weave innovation, which is a denser and tightly sewn fabric to help insulate against light. These blackout curtains would be a great add for your bedroom, livingroom, or your kids room. If you have any questions about this product by BarronTextile, contact us by completing and submitting the form below. If you are looking for a specif part number, please include it with your message.